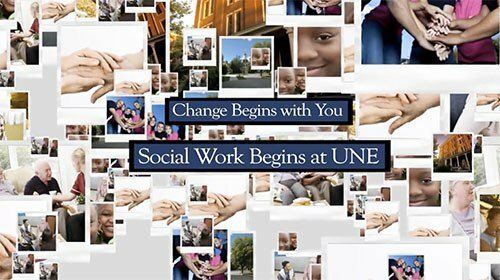 The University of New England wanted a social media video created for its Masters of Social Work program so they contacted CSK Creative to bring out two separate feels from the same library of content. The first social media video needed to be actual interview footage with some integrated text that would engage viewers even if they didn’t have sound on. The second video had interviews with more content but less integrated text callouts. The marketing video team is currently testing each video to see which is the most engaging. The balance between creating short videos and providing enough content to be useful is especially important in social media videos and CSK Creative can help toe the line in a single video or create two separate videos to engage two separate types of viewers. Contact us for a quote or to discuss more about your social media video needs today.